Please Note: We are now using a new registration system. If you have set up an account with us prior to a week ago you will need to create a new one using the link above. Your patience is appreciated while we work to improve your online experience. Our recreational class program has alway been an ongoing program however we have decided to do away with specific 8 week schedule dates. If you really liked paying for 8 weeks at a time you can still do that by purchasing our 8 visit Class Pass. It's the all digital day and age! You can already book classes and purchase memberships online. Now you can schedule or drop your classes as you wish. Soon you will be able to book Birthday Parties, Field Trips, Private Lessons and other events, camps or workshops all by visiting our website. Memberships or Class Passes! Month to month memberships offer lower out of pocket cost to get started, the convenience of auto pay and affordable pricing for those looking to come more than 1 day per week! Class passes are just a new name for an "8 week session". An 8 visit Class Pass allows you to pay for 8 classes up front just as you used to however you are able to start right away. No more waiting in line to check in with office staff. Soon you will be given a key card that will be scanned upon each visit. Forgot your card, no worries you can still check in with the front desk. 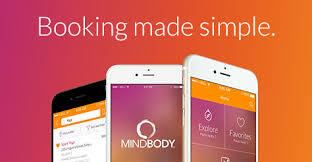 A wealth of information can now be accessed on the MindBody app for ios & Android as well as the Mindbody website. You will find information on coaches, classes, upcoming events, pricing and more. You can even purchase and schedule classes. Birthday party booking, scheduling private lessons and more online tasks being added every day. For up to date information on team results, upcoming events, fun gymnastics facts, videos and much more follow our Facebook Page. Just rolled out…a membership fit for every student & every budget! When enrolling online, Memberships are currently listed by Membership name and duration of class. Note of the duration of your class of interested when selecting your preferred membership. This process will be more streamlined upon completion of the site. Our most basic membership. Choose our Starter Membership if you're just testing the waters or you are still working on finding time in your schedule for classes. This membership is essential for those looking to increase their physical activity, gain muscle strength, flexibility and learn or advance their gymnastics, tumbling or cheer skills. This is our most elite membership option. This option is a must for those looking to greatly increase their physical fitness or learn or advance their skills quickly. If your child is interested in being competitive someday this is the plan for you. Memberships are currently being sold with an active date of April 22nd. Still have questions? Check out the FAQ page.